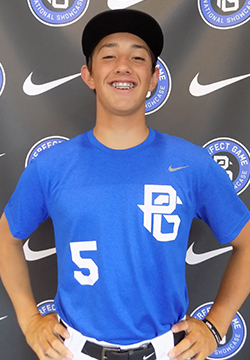 Brooks Lee is a 2019 SS/C/2B with a 6-1 180 lb. frame from San Luis Obispo, CA who attends San Luis Obispo HS. Large frame with lean, highly athletic build; very good projection remaining. Ran 60 yard dash in 8.03 seconds. Switch-hitter, sets up from right side with wider base and even stance, good hand speed with barrel awareness, gets on lofted swing plane and does a good job getting hands through on time out front. Shows better extension from the left side with good strength off the barrel; shifts weight into swing well and showed the ability to drive the ball to all fields. Worked out in the infield; showed very easy and fluid defensive actions with light footwork, soft hands out front, picks the ball well and is easy with glove to both sides and out front. Funnels well, gets off quick release from lower slot with accuracy and strength, clocked up to 85 mph. 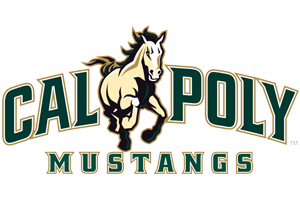 Very good student; verbally committed to Cal Poly.